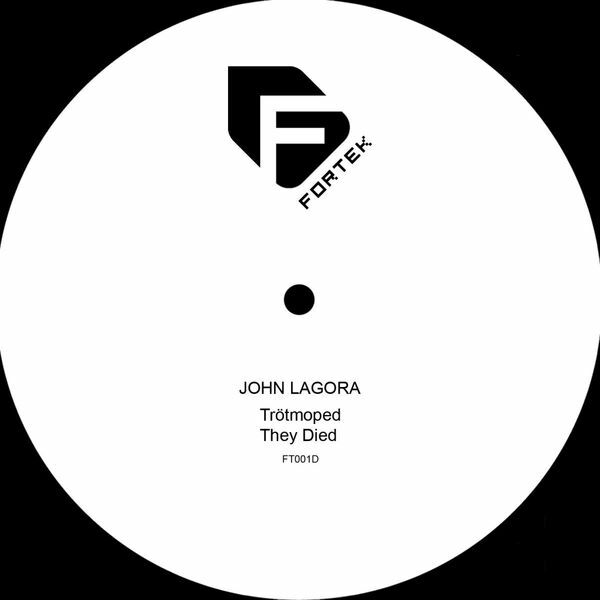 Rotterdam-based label Fortek is the latest label to recruit the talents of John Lagora. 'Trotmoped' squeaks into life with some synth silliness that sounds like rhythmically consistent poodle yelps. There's an abundance of hefty percussion governing the whole affair, balancing out the minor irritation caused by that squawking sound. Next comes the more articulate 'They Died', assembled from chopped female vocals and plenty of underlying melodic content. It's a marked improvement over the A-side (if you can really use such terminology in the digital realm) and exhibits a greater depth of production.